Onboarding a new hire is a critical part of a their success, and the success of the organisation. But getting it right is a challenge for HR professionals. New starters tend to be directed to employee handbooks or intranets for information, which aren’t very engaging or personal. Last year, 32% of global executives said they experienced a poor onboarding process, and nearly 50% of millennials expect a better process. As new technologies become more integrated into our working lives there’s an opportunity for HR professionals to approach their onboarding in a new way. That’s where augmented reality comes in. AR creates engaging and highly visual content. It can make print interactive, or turn entire spaces into immersive AR experiences. Augmented reality experiences have a remarkable impact our ability to learn and retain information. A study by Neuro-Insight in 2018 found the part of the brain responsible for memory encoding saw almost three times the level of activity when engaging with AR versus non-AR, and almost double the levels of visual attention -- shown in the image below. AR’s impact on information retention makes it really effective for onboarding programs when a new employee has to quickly absorb and retain large amounts of information in a short period of time. The quicker an employee can learn, the faster they get up to speed and add value. 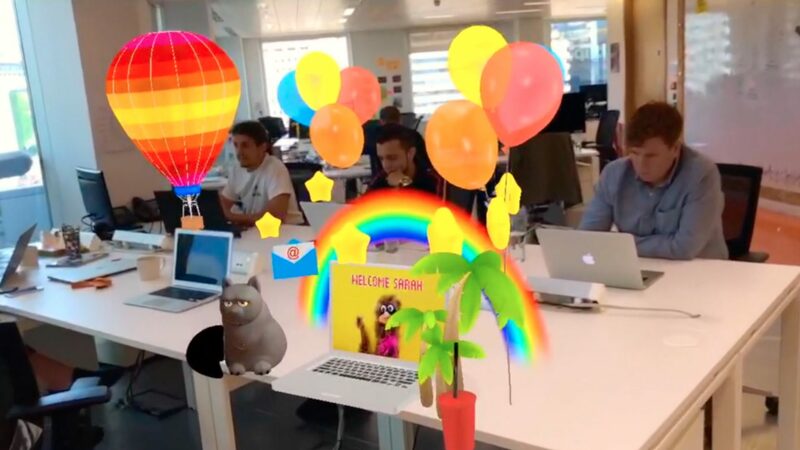 See how you can introduce AR to your onboarding process. Employee handbooks contain a wealth of information, from dress codes to company values. 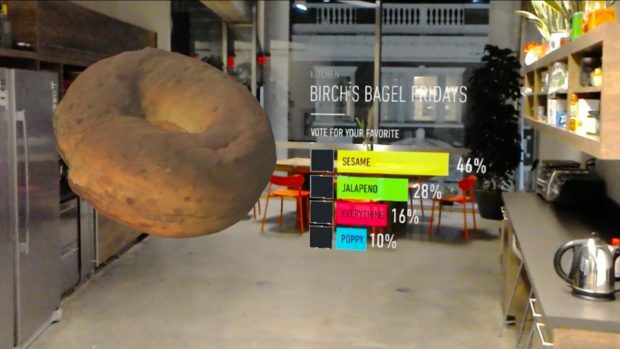 Augmented reality offers engaging and exciting ways of communicating this information. For example, turn onboarding into an AR game show, where employees unlock videos, images, or animation as they progress, all unlocked with their smartphone. AR quizzes test knowledge retention, which then gives you data to see how well new employees are processing information. You can update AR at any time, meaning you can adapt content as your business changes or in-line with feedback from your new hires. 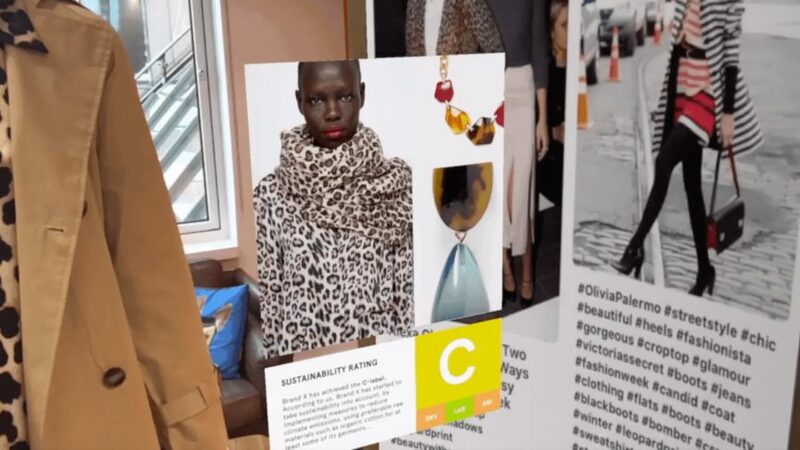 Augmented reality is also a powerful tool for storytelling -- perfect for communicating your brand’s heritage, mission, and values. 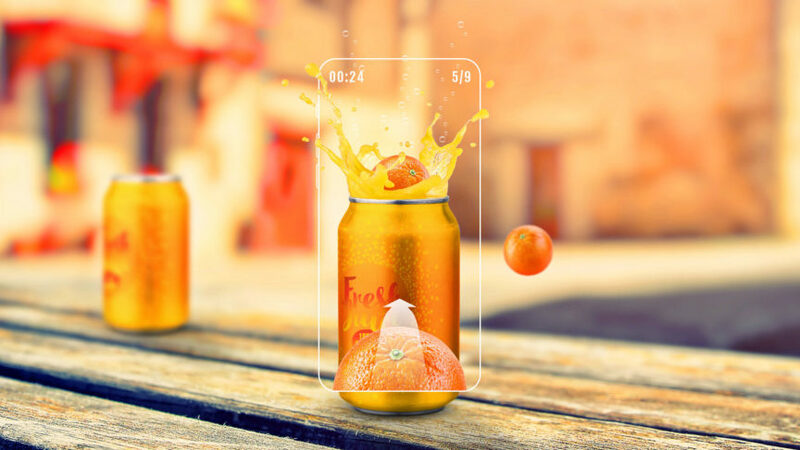 Create an inspiring piece of AR content to help employees connect with your brand and understand your vision. This is a particularly innovative way of achieving culture-boarding -- a facet of onboarding that’s becoming increasingly important to get right. An employee’s first day can be a little overwhelming. Office tours can feel rushed and rely on memorising important information, from who’s who to health and safety demonstrations. Augmented reality can enhance offices with interactive experiences to help guide new starters in their first few weeks. These can then be revisited and accessed on-demand to help employees settle in their own time. By creating and placing some recognisable stickers around your office (known as markers) employees can trigger specific AR experiences. For example you could place these markers next to equipment and launch AR health and safety demonstrations. Or you could make images of staff interactive to show their job title, department, contact information or fun facts. These can also be gamified by creating a scavenger hunt -- an employee can be challenged to find and complete each AR experience to win points and learn at the same time. Check out our interactive team wall at Blippar HQ below. Augmented reality can also turn entire office spaces into large-scale immersive learning experiences. Beam’s augmented reality onboarding demo shows the potential for this. By wearing an AR headset, new starters can unlock interactive content as they tour the office -- including which department is which, the senior team’s goals, and most importantly, polls to vote for their favourite snacks! Beam’s AR onboarding experience, featuring the all-important snack vote. 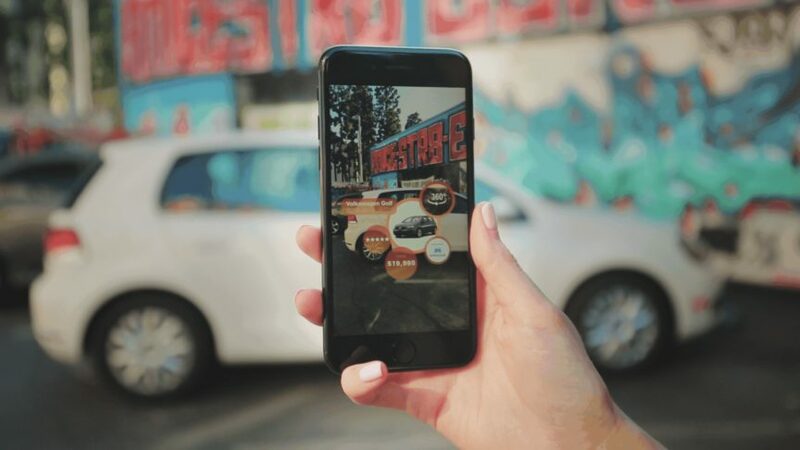 AR can create a wide range of experiences, from small scale activations to content rich stories, to engage new employees and achieve onboarding objectives. Whether it’s an augmented reality quiz to test knowledge retention, or a scavenger hunt to help new starters settle in, augmented reality onboarding can make for more knowledgeable employees that are equipped to start adding value to your organisation more quickly. You can start creating your own onboarding content with our AR creation tool, or drop us a note to find out more.